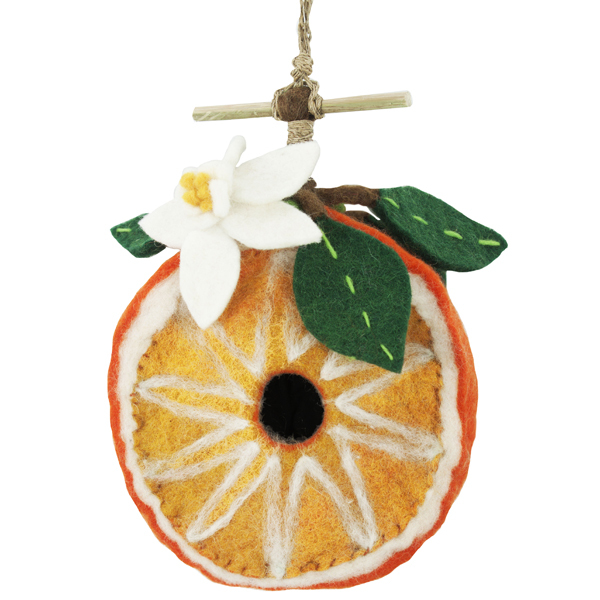 Don't forget about your feathered friends! We haven't. Whether you want to attract orioles, hum mingbirds, or the many resident and migrant song birds that frequent Cape Cod feeders, we have what they want. The National Wildlife Federation requires 4 things in a yard to have it named as "Certified Wildlife Habitat." They are food, water, cover and places to raise young; and Pine Tree carries what you'll need to become certified: Birds Choice's bird-friendly and consumer-attractive innovative feeders, unique Meadowbrooke Gourd birdhouses, many styles of birdbaths, and of course, all the plants and shrubs you'll want to attract your feathered friends. Here are a few of the many birding items in our Garden Shop. 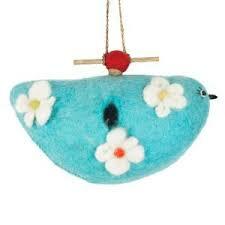 WILD WOOLIES FELTED BIRDHOUSES - Adorable felted birdhouses made in Nepal by a Fair Trade artisan group. Traditionally handfelted with natural woolen fibers that are renewable, recyclable, water repellant and made with environmentally friendly dyes. The 1 ¼ inch opening is sized for small birds such as wrens, chickadees, titmice and blue birds and can be expanded to invite larger birds. 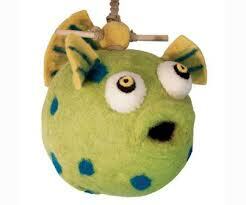 Comes with hemp hanging cord and bamboo perch. 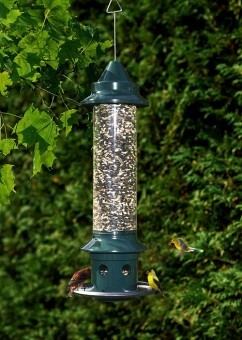 SQUIRREL BUSTER PLUS - Winner of Birdwatch America "Best New Product" award, the Squirrel Buster Plus feeder is quaranteed squirrel/large bird proof. Openings in the bottom of the feeder's shroud align with seed ports allowing birds access to seed. 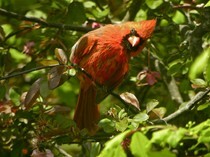 The heavier weight of a squirrel or large bird forces the shroud to close over the ports, blocking access to the seed. Built to last and easy to clean. 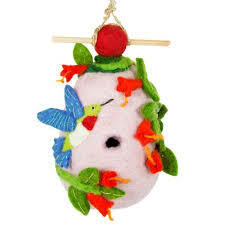 SWEET NECTAR FOR HUMMINGBIRDS & ORIOLES - Gone are the mess and hassle of making your own hummingbird or oriole nectar just to be certain that only the best of ingredients are being offered at your feeders. 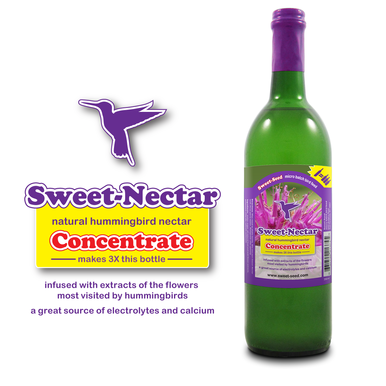 Our Sweet-Nectar™ concentrates make a full 2250ml (3X) by simply adding the appropriate amount of regular tap water, and is infused with all natural, steam-distilled wildflower extracts that your birds will love. No unnecessary food coloring or corn syrup here! 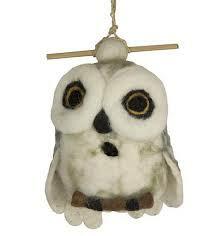 WINDOW ALERT - Protect wild birds from window strikes. 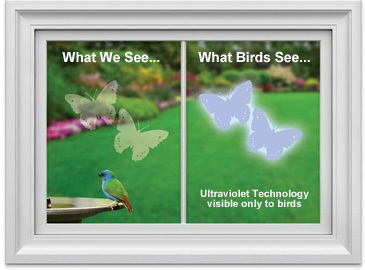 These window decals brilliantly reflect ultraviolet sunlight which is invisible to the human eye but glows like a stoplight for birds. 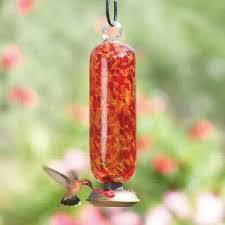 PAR-A-SOL HUMMINGBIRD FEEDERS - Beautifully designed of hand-blown glass with quality materials and superior function. Pine Tree carries a large selection of different styles, sizes and colors. 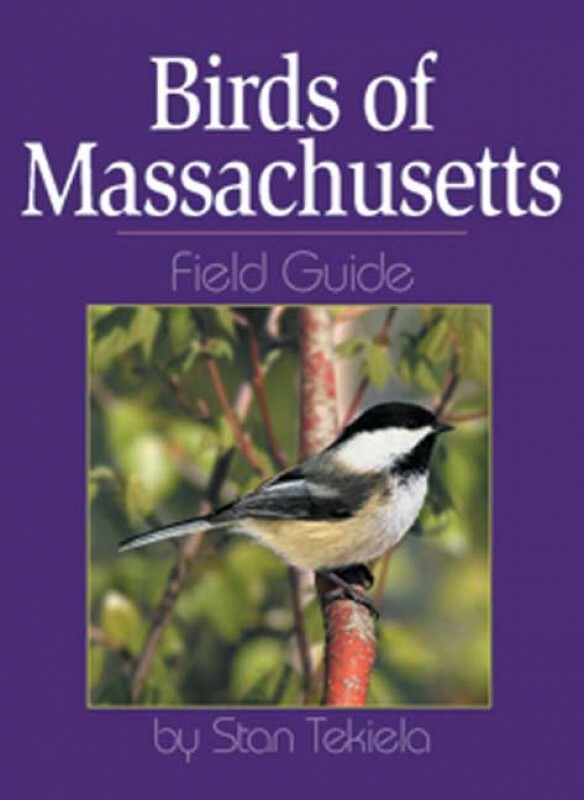 BIRDS OF MASSACHUSETTS by Stan Tekiela - This pocket size field guide is a great way to learn about the birds around you. The full-page, color photos are incomparable and include insets of winter plumage, color morphs and more. Plus, with the easy-to-use format, you don't need to know a bird's name or classification in order to easily find it in the book. Using this field guide is a real pleasure. 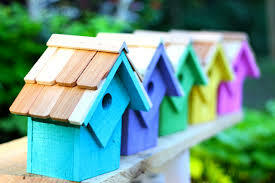 BIRDHOUSES FROM HEARTWOOD - These adorable birdhouses blend quality, function and elegance. 100% American made of select cypress and mahogany with solid copper trim. They're designed with correct ventilation, drainage and cleanouts to keep feathered friends happy. 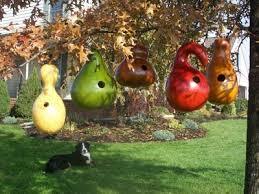 MEADOWBROOKE GOURD BIRDHOUSES - Back by popular demand. Made from actual gourds, dried, and treated for outdoor use. Very durable and will function as a comfortable nest for many years.